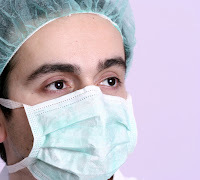 Home » training » What Makes A Great Surgeon or Doctor? What Makes A Great Surgeon or Doctor? Does this apply to surgeons or doctors? I believe it absolutely does. Any person who puts in enough good training hours under the tutelage of a great teacher with a great role model to aspire to can become a more than competent physician. And as any highly trained professional can attest to, it requires continued training and practice to stay on top of one's game. As Vladimir Horowitz, a premiere concert pianist, once said, "If I skip practice for one day, I notice. If I skip practice for two days, my wife notices. If I skip practice for three days, the world notices." How does this compare to a surgeon's training and professional career? To use myself as an example, while at Duke where I received 5 years of training to become a head and neck surgeon, I averaged about 110 hours of work training per week during my first 2 out of 5 years. In the last 3 years, I probably averaged around 90 hours a week for a grand total of 25,480 hours of training before I graduated and came to Northern Virginia to be in private practice. During that 5 years of training, I performed nearly 3,000 surgical cases under a master surgeon before graduating. Furthermore, I had plenty of role models at Duke for me to try to aspire towards. A "goal" so to speak, of the kind of surgeon I wanted to become. A similar experience can be found for all physicians and doctors who go through the American medical training system. Even after training, physician education is not completed... In fact, it never ends. Indeed, physicians are required to continue to receive education from master instructors, journals, or other text every year (Continuing Medical Education or CME) as well as undergo regular testing to ensure their knowledge is current and comprehensive.